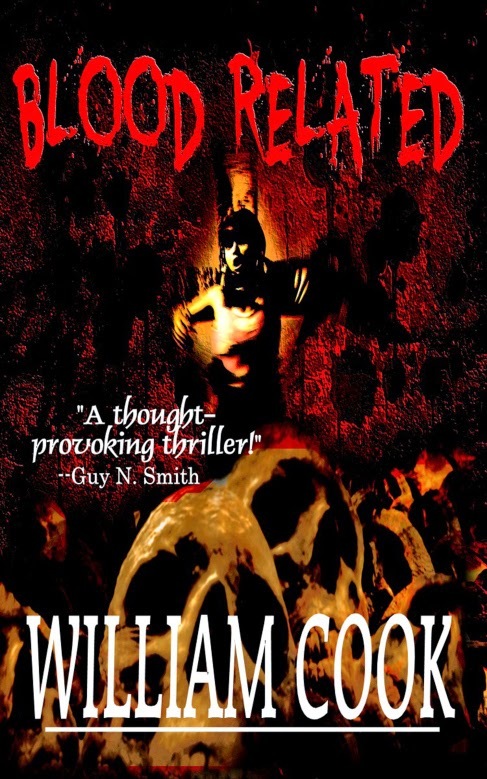 William Cook was born and raised in New Zealand and is the author of the novel Blood Related. 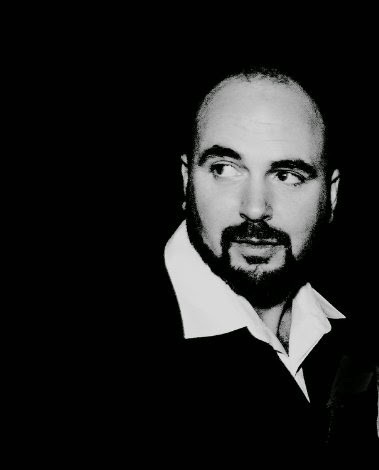 He has written many short stories that have appeared in anthologies and has authored two short-story collections (Dreams of Thanatos and Death Quartet) and two collections of poetry (Journey: the search for something and Corpus Delicti). His work has been praised by Joe McKinney, Billie Sue Mosiman, Anna Taborska, Rocky Wood and many other notable writers and editors. William is also the editor of the anthology Fresh Fear: Contemporary Horror, published by James Ward Kirk Fiction. 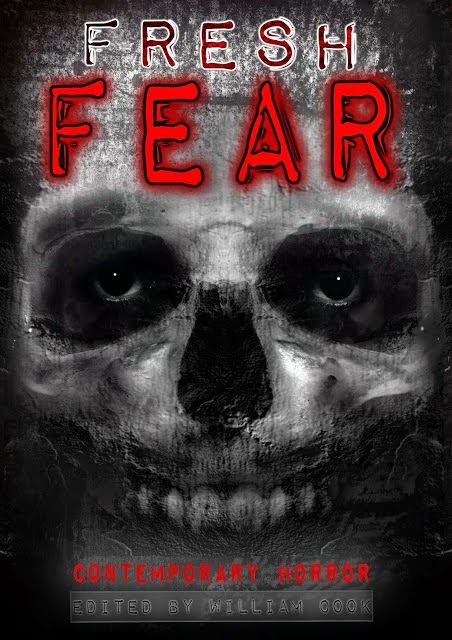 1) As you mention, you're the editor of the recently published anthology Fresh Fear: Contemporary Horror, in which I'm very pleased to have a story. I'm less familiar with the horror field than I used to be back in the 1980s and 1990s, but even I can see that you've got some major names in there, notably Ramsey Campbell and Jack Dann. How did you manage to secure their work for the anthology? It took a lot of networking and detective work to track down contact details for some of the bigger names I wanted to include in the anthology. I have been a fan of Ramsey Campbell’s for a long time and consider him the premier U.K. writer of horror, so it was important for me to try and secure one of his stories for the publication. Thankfully he agreed to sell me the rights to one of his stories (Wonderland’) and it was one that I had read before and felt was a good fit for the anthology. Most of the bigger names were approachable; some more generous than others but most willing to part with stories (mainly reprints) for pro-rates if they didn’t feel the contributor rates were applicable. Jack Dann allowed me the use of his wonderfully frightening story ‘Camps’ and is one of the nicest and most generous authors I’ve met. I feel very honoured to have communicated with some of my favourite authors (albeit via electronic/virtual means) with this anthology and for that reason alone I feel it was worth the cost overall; it also proved a real boost to some of the up-and-coming authors to appear in an anthology alongside the likes of Campbell, Dann, Mosiman, Dunbar et al. 2) Are there common themes that emerge from within a number of these stories, or does the anthology cover the full scope of horror fiction? The only real criterion I had in mind when selecting the stories for Fresh Fear was that they had to contain the element of fear somehow. I leant slightly towards ‘quiet’ horror when and if it was of a high enough standard but the end result was a really diverse range of stories, ranging from quite hard-core horror to more subtle narratives. One commonality that emerged from the huge pile of submissions was the amount of stories set in post-apocalyptic or dystopian worlds; so I did become aware that the influx of these kind of stories had to be whittled down to give the reader a more diverse reading experience, as was my original intention. But, in answer to your question, I would say that the only real commonality is that the stories are well-written and that they all contain an element of fear that should entertain the readers’ adrenal glands. 3) Is this the first anthology you've edited, and how did you get interested in editing anthologies? Yes, it is the first one that I’ve edited. I have always wanted to create my own horror anthology as I’m a big fan of them having falling in love early on with the Pan (Herbert Van Thal ed.) and Fontana collections of the late 70s and early 80s. It is how I, and I suspect, most other readers of horror have discovered new talents and writers of the genre and continue to do so. My interest stems from my love and fascination with the genre and I hope that I get the chance to edit more over the following years. I have always wanted to put together a very eclectic classical horror anthology with the best illustrations to accompany the selection of my favourite stories. One day. 4) Of course, you're also known as a horror novelist, with your novel Blood Related [receiving good reviews. Without giving too much away, what can readers expect from Blood Related? 5) You're also a poet, and of course, there's a long tradition of horror poetry, stretching back at least to Edgar Allen Poe. What makes for good horror poetry? There are so many variables and subjective considerations when one makes a value judgement about what constitutes ‘good’ poetry that it is hard to nail down. ‘Horror poetry’ is a fairly loose term and is not as widely accepted as say ‘Gothic’ poems, but recent years have seen the rise of a number of poets who do write poetry that engages tropes most commonly found in horror novels/fiction. An element of dread must always be present – a sense of foreboding; this can be achieved with the cadence and meter of the poem and is also emphasized by the use of onomatopoeia and description. I’m personally not a great fan of rhyming poetry and prefer subtle use of alliteration and simile – the poems that really speak to me as works of horror are usually succinct and pack a punch. The poem should make the reader draw breath as they read and to twist their thoughts and emotion in a way that will leave a marked impression. Too much horror poetry relies on mediocre rhyme schemes and fails to deliver impact because of it. You can have a fantastic idea and a scary premise that can be delivered effectively with free verse, but as soon as a rhyme scheme is used it comes across as a cheesy Pam Ayers-type limerick. The poetry that does it right is usually well edited and tightly wrought with selective use of words and phrasing. Some contemporary poets who I feel do ‘horror poetry’ well are Charlee Jacob, Vincenzo Bilof, Lori Lopez, and Jaye Thomas, and Bruce Boston, to name a few of my favourites. 6) Now that you've finished work on Fresh Fear, what projects do you currently have on the go? 7) I know that you've put a lot of effort into building up your social media presence to create a sales platform for your work. What advice do you have for writers who think social media is not for them, or who are just starting to make use of it? Despite Facebook being the largest social network available it is pretty useless for sharing posts that you make – i.e. you do not have share options that link your FB posts with the likes of Twitter, Pinterest, Google+, MySpace, LinkedIn etc. I believe it is best to have a platform such as a website if you are serious about promoting your work online. Wordpress, Blogger, Wix, Tumblr etc are all viable options and best of all they are free. Once you have your website/blog set up, then you can use it to share your posts via the social media sites. Most blogs/websites have options for automated sharing of your posts which can save lots of (writing) time and is the most effective way of cross-market promotion. There are countless tutorials via each of these platforms in the help sections or on YouTube.com etc. Essentially, you need an online presence if you are to succeed as an author in this day and age – especially if you are going down the independent or self-publishing route. The one piece of advice I think is important is to not let it (social media) consume you – I have wasted far too much time over the years on it when I should’ve been writing but in saying that, I have learnt many valuable lessons too. One other point is to remember who it is you are trying to market your work to - the reader. 8) You've recently been involved in setting up the NZ Horror Writers' Facebook Group. Who should get involved, and why? Well it was more of an experiment than anything else really. I was curious as to how many New Zealand authors write horror and whether there was a need for such a group. So far the response has been positive but I think a more apt title for the group would be: New Zealand Dark Fiction Authors. If you write dark fiction/horror and want a forum for your ideas and to network with other like minds them it would probably be a good place to start. Many of the members are also active members in groups like the AHWA (Australian Horror Writers Association), SpecFicNZ and the HWA and use the group to share open submission calls and industry news. The criteria for membership is pretty simple – if you are a New Zealander and you write within the genres mentioned, come join up. 9) In addition to those with stories included in Fresh Fear, who are up and coming horror writers that readers should be looking out for? There are so many good writers out there with little or no recognition. Some of the more promising authors that I have had the pleasure of dealing with are as follows: Vincenzo Bilof, Carole Gill, Scathe meic Beorh, Lindsey Beth Goddard, William Malmborg, Anna Taborska, Dane Hatchell, Thomas A. Erb. There are so many and I’m sure to have missed out others. For a full list of recommended authors, please come and visit my website where I have a full page devoted to writers who are good at what they do. Tim Jones, Books in The Trees, Robert Onopa, Charlee Jacob, Vincenzo Bilof, Lori Lopez, Jaye Thomas, Bruce Boston, William Cook, Poetry, Horror, Publishing, Books, Fresh Fear, Dreams of Thanatos, Corpus Delicti, Jonathan Nasaw, Joe McKinney, Billie Sue Mosiman, Anna Taborska, Rocky Wood, Carole Gill, Scathe meic Beorh, Lindsey Beth Goddard, William Malmborg, Dane Hatchell, Thomas A. Erb. Anthology Appearances - check 'em out!